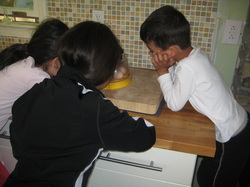 We love to experience the magic of a baby chick developing in its egg. We watch the network of blood vessels develop, see the chick's heart beat and the chick move. Finally, after 21 days the chick is ready to be born and after a day of hard work breaks out of its egg! We have watched this process many times, but it is always and still amazing to literally watch new life develop. To help other families or groups experience this amazing process we have put together a rental kit with all the equipment and supplies needed to hatch out some chicks and watch them grow for a week. Afterwards we are happy to take the chicks or you are welcome to keep them. Following is a short overview of the project. The rental kit includes a very detailed description of the process and we are always available for any questions that might come up. -The egg turner will automatically turn itself off on DAY 19. Leave the incubator closed from that point on. -The chicks will hatch on DAY 21 and DAY 22. Sometimes they are a day early or late. 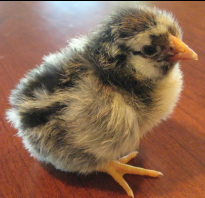 - Leave the hatched chicks in the incubator for at least 6 hours to dry off and stabilize. They don’t need food and water for up to three days. -When all chicks are hatched and dry move them to the prepared brooder. - Enjoy watching the chicks for a week. Return the chicks to us with your kit or move them to your own larger brooder. We ask for a $200 deposit which will be returned to you when the equipment is returned.